I failed at Christmas sewing this year, pretty badly. Aside from my grandma’s sweater, I made Osiris fleece pants, and that was all I had time for. But I did manage to order the Jalie onesie pattern, and find the right fleece. 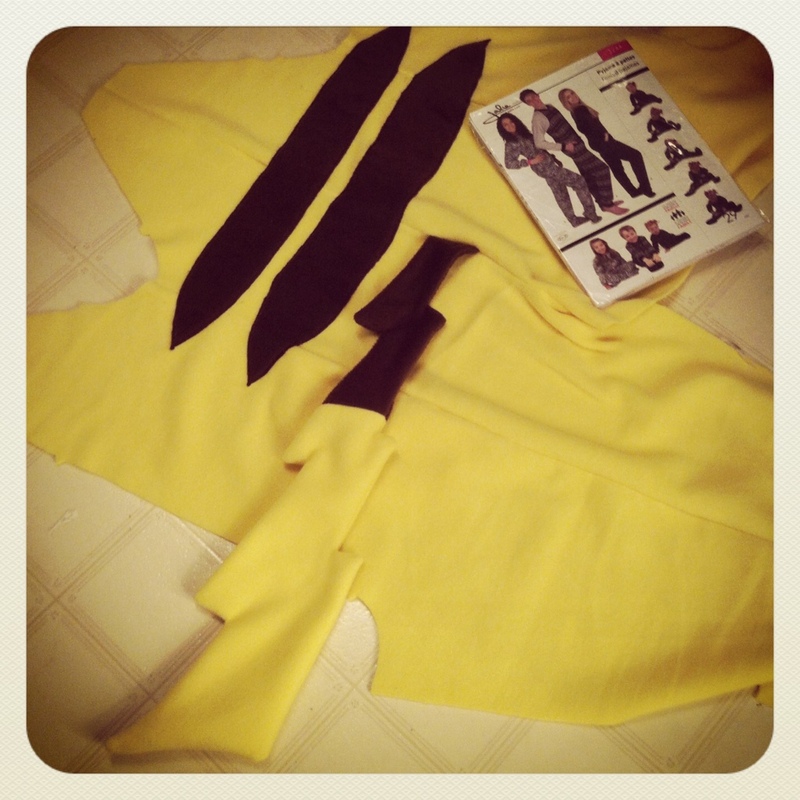 So work has begun on Tyo’s Pikachu Onesie. Oh, I got that pattern too (failed plan for Christmas sewing for my daughter-age 26). Pretty please, definitely let us know how it works out. Thanks! So far it’s all fun. A little scared of doing the face/hood. I will—I sure hope it’ll be great. She’s awfully excited. Merry Christmas Tanit-Isis! The onesie sounds fun. I have not sewn a single gift this Christmas and I don’t feel bad – sometime you have the time and energy and sometimes you don’t. Have a lovely break! Yeah, this was definitely a “no time” Christmas for me… but of course, so many ideas! /sigh. Last onesie I made was for my 6’4″ brother-in-law. It took a lot of flannel. Psi Duck was my favorite … it’s superpower is to have a bad headache, lol.